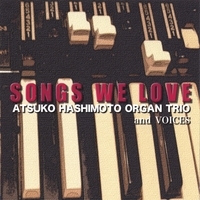 Atsuko Hashimoto brings a freshness to the jazz repertory and the Hammond B3 through her innovative approach to the instrument. Her joy in music, sense of humor and abundant personal warmth shine through her mastery of the idiom while exercising the full range of voices and dynamics available to the Hammond/Leslie combo. 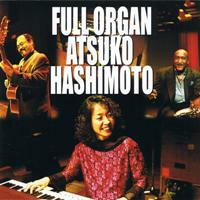 Born in Osaka, Atsuko started to play the organ at the age of four. She began to explore the B3 starting with popular songs and cutting her teeth on such jazz classics as Duke Ellington's "Take the A Train." She studied classical music for several years before choosing to dedicate herself to jazz music and the jazz organ. In 1992 she fronted her own quartet at the Osaka Jazz Festival and Naniwa Arts Festival. In 1999 she debuted in the US, playing at clubs in New Orleans and Pearls club in San Francisco, where she performed with guitarist Bruce Forman. In 2000 she shared the stage with Brother Jack McDuff and his band on tour in Japan, and in September appeared with Dr. Lonnie Smith at Blue Note Osaka. She has made several US appearances with acclaimed musicians such as Jeff Hamilton and Houston Person and wowed the American audience. At the 40th [Osaka] Naniwa Arts Festival in 2003, Atsuko received several awards for her outstanding achievements in music including the Shoji Nakayama Jazz Award, the Progressive Musician's Prize, and Awards from the Osaka Governor and Mayor. Her CDs available at Eastwind Import includes Full Organ (released in 2003) and Songs We Love (released in 2005).